Vermont, in the north-eastern United States, is all about tantalising countryside scenes, from the spectacular fiery colours of ‘The Fall’ to the gorgeous greens of spring and summer (75% of the state is forest) to charming villages and snowy mountain ranges. Not surprisingly, it attracts outdoors enthusiasts whether skiers, snowboarders, walkers, mountain-bikers or hikers. 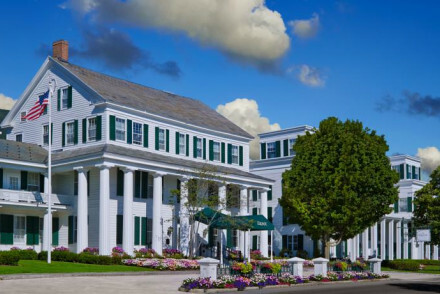 Equally, it appeals to those who just like to drink in the scenery at a more stately pace, and our choice of the best places to stay in Vermont caters for both types. Thousands of acres of alpine terrain make it a popular New England winter destination for skiers and snowboarders; Stowe is a favourite destination. You can go fly-fishing in the many creeks or cast from a boat on Lake Champlain or you might want to hike the 300-mile Long and Catamount Trails. 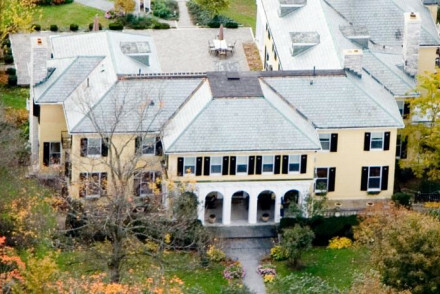 For a more leisurely visit, you can take a drive to admire Quechee Gorge or browse Hildene, the Georgian Revival mansion of Robert Todd Lincoln, son of the First President, or explore the Vermont Ski Museum in Stowe. And foodies are in for a treat, too, with a cheese trail, food trails and dozens of farmers’ markets and craft breweries. Of course, it’s also the home of both Ben & Jerry’s ice cream - yes, you can tour the factory in Waterbury - and maple syrup. Many of the welcoming, small, towns have attractive, well-preserved downtown areas with clap-board properties and handsome public buildings, such as Montpelier with its magnificent State House and thriving arts scene, and Wilmington with its great choice of farm-to-table eateries and artisan craft shops. Middlebury is known for its college and the Bread Loaf School of English which was founded by poet Robert Frost, whilst Manchester Village is awash with chaming boutiques, galleries and great restaurants. 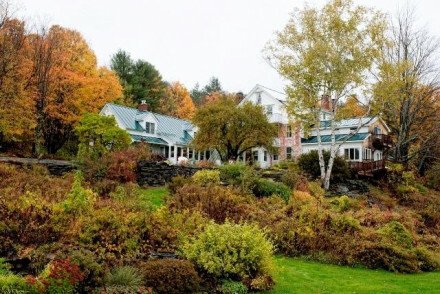 So use our guide to the best places to stay in Vermont to plan your trip. 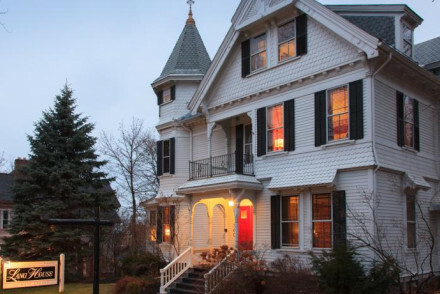 A luxurious B&B with hotel standards, from the elegant rustic furnishings to the crisp bedlinen and polished wooden floors, Lang House on Main Street charms with its 19th-century, white clapboard exteriors. Close to the Vermont Cheese Trail and Burlington Food Tours, too. The Inn at Manchester epitomises the best of B&Bs, with comfortable, country-style rooms, can’t-do-enough-for-you owners, splendid breakfasts and afternoon teas. There’s also an outdoor pool. There’s a welcoming old-world charm to the Maple Leaf Inn, with its rocking-chairs on the porch, country-house style rooms - many with fires - and quiet views over a forest-wrapped lake. The perfect place to unwind. 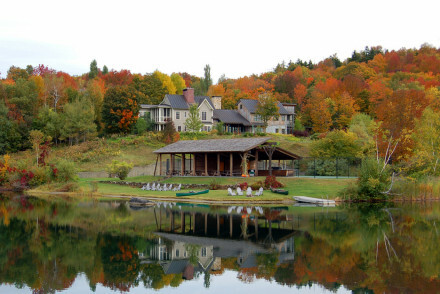 With golf, mountain-biking, fishing, tennis, skiing and kayaking all on-site or nearby - as well as a spa - there is little need to leave the Equinox Resort & Spa nestled in the Green Mountains near Manchester. Rooms are smart and contemporary and there’s a choice of dining options. Equally well served - indoor and outdoor tennis courts, spa, pool, fitness centre, plus fishing, skiing, cycling and horse-riding - The Topnotch Resort & Spa near Stowe, is well-named. The 120 rooms are crisp and modern with terrific mountain views while Flannels Restaurant offers tasty, often organic, dishes. 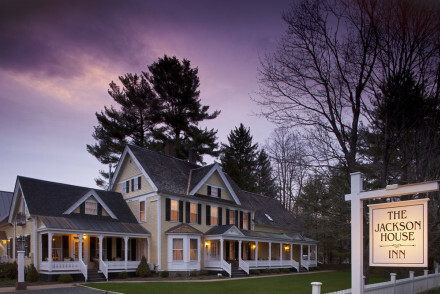 Overlooking Woodstock’s village green, the 18th-century Woodstock Inn offers light and airy, contemporary country-house rooms. Tennis, golf, hiking trails and bird-watching are some of its activities; afterwards relax in the pool and spa. The Reluctant Panther Inn offers a real home-from-home atmosphere with crackling fires and traditionally furnished, cosy bedrooms. There’s a lovely terrace and gardens to explore, and hills for skiing and walking nearby. With free access to a nearby sports centre, plus its own kayak and just 15 minutes from ski slopes, The Pitcher Inn will keep all members of the family happy. Rooms are quirkily themed in ski lodge, colonial or schoolroom style. 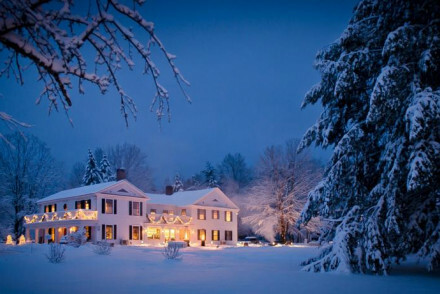 There’s something for everyone at Windham Hill Inn from tennis, trekking (snowshoes to borrow) and skiing to a spa, library and cookery classes. Rooms are large and country-style; with welcoming teddy-bears for little ones. 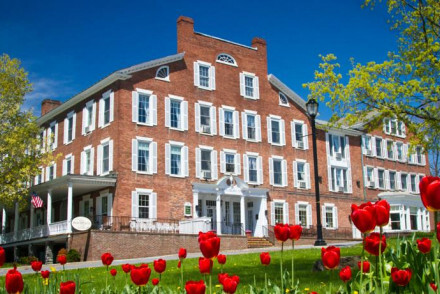 A classic early, 19th-century inn, Middlebury Inn has been restored to retain its original features of high ceilings, grand sash windows and fireplaces carefully mixed with a modern country-house style. Rooms are light and comfortable, plus there’s a small spa, an elegant restaurant and daily afternoon tea in the lobby. 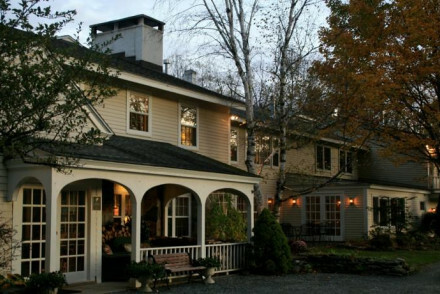 No TVs or telephones ensure the adults-only Rabbit Hill Inn is as cut off from the world as you would like. Rustic-style rooms, some with verandas, have peaceful views over gardens, forests and White Mountains. Rates include daily afternoon tea. 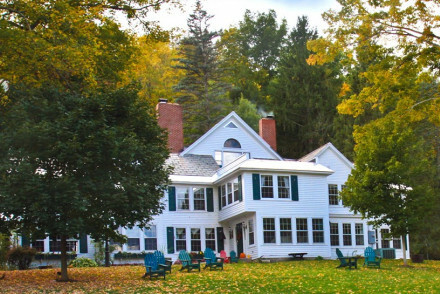 In the heart of the Green Mountain National Forest, Barrows House offers traditional country elegance and a fine-dining restaurant. As well as the obvious outdoor activities of trekking, skiing and riding, the hotel has tennis courts, swimming pool and beautiful gardens. 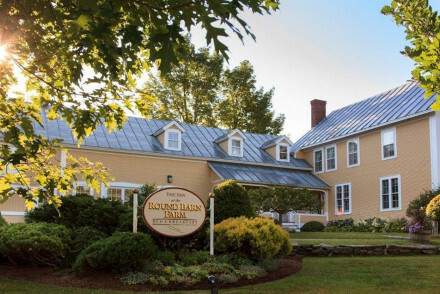 Enjoy spectacular mountain views from The Inn at Round Barn Farm, a quiet getaway whose dozen rooms have an elegant rustic feel with polished hardwood floors, antiques, and lacy bedcovers. Well-placed for skiing, hiking and kayaking. 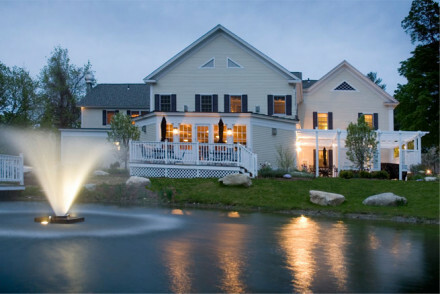 Surrounded by 300 acres of wilderness, the luxurious Twin Farms guarantees seclusion. In grand, country-house style - big rooms, high ceilings, huge fireplaces - rooms are furnished with antiques, and there’s a gourmet restaurant plus plenty of activities on-site. 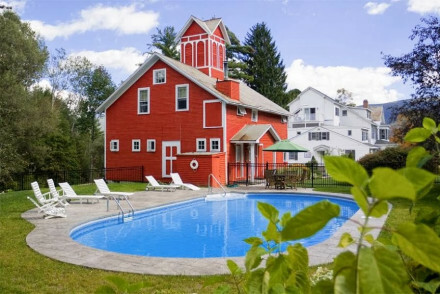 For more ideas, browse our list of the best places to stay in Vermont, or contact one of our friendly gurus for advice. Antique furnishings, original high ceilings and elegant interiors make up this former 1827 coaching inn. Rooms are a blend of contemporary and classic with modern bathrooms. Morgan's Tavern serves fresh and local farm produce. Drinks at the bar or a day at the spa, make this a great base for hiking. Sights nearby - Experience the fun and educational 30-minute guided factory group tour of Ben & Jerry's. Local markets - Farm Heritage Tour. An 1840's heritage Lodge, in the beautiful Green Mountains of Vermont. The elegant rooms are individually decorated and feature a range of claw footed tubs, fourposters, balconies and fireplaces. The in-house restaurant serves up mouthwatering locally sourced dishes in a warm and intimate setting. Sights nearby - Visit the Gifford Woods State Park featuring one of the few remaining old-growth forests in Vermont. An 1881 Queen Anne Victorian home, recently converted into a luxurious B&B. Each room is uniquely decorated with loving attention to detail. Wooden floors, period furniture, blazing fires and plush linen give Lang House it's antique-chic charm! Sailing - Charter a sailing boat at Let’s Go Sailing or Whistling Man Schooner Company. A wonderfully fresh and inviting Stowe hotel. Vibrant and eclectic interiors reign supreme, from the raw wood walls and white sheepskins of the lounge to the rustic-cut wood headboards and brilliant bird wallpaper of the bedrooms. With a seasonal pool and excellent food to boot! Cosy, comfortable and chic. Each bedroom has its own charms and unique decor. Outdoor pool for the summer months, and mulled cider by a crackling fire in the winter. Breathtaking views all year round. Fishing - Fishing the Deerfield where Chris Jackson will share his 28 years worth of experience. Restrictions on children - Children are not accommodated for. 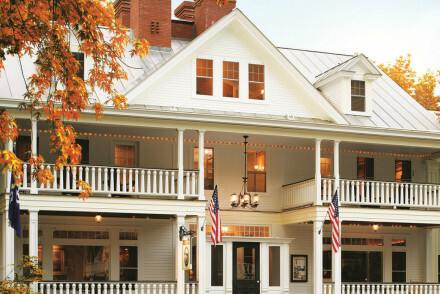 A delightful, traditional inn dating from 1888. It epitomises the friendly, cosy B&B stereotype - welcoming owners, armchairs and fireplaces - whilst being finished to the highest standard - elegant, comfortable rooms, its own pub and lovely outdoor pool. Perfect base for exploring Vermont. 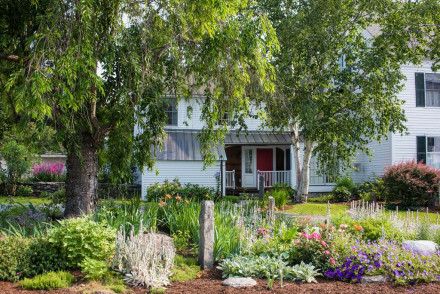 A homely Victorian style B&B, nestled on 16 acres of maple and birch forest, in Barnard Village, Vermont. Decor is clean and crisp with rocking chairs and four poster beds giving an old world charm to the rooms. Sit out on the porch and watch the sunset over the spectacular scenery. This sumptuous B&B is run as a romantic hideaway for couples. The comfortable rooms have a variety of décor styles to choose from – traditional, country, modern. There are no telephones or TVs to ensure total escape. Any outdoor activity you could dream of is possible nearby. An elegant Georgian styled B&B surrounded by wonderful lush gardens and ponds. The unique horseshoe shape with a tree at it's heart makes for a romantic getaway. Bedrooms are warm and cosy with plenty of character. The popular Vermont chef of the year will add panache to make your stay memorable. Kayaking - Kayaking at Keewaydin Camp on beautiful Lake Dunmore in the Green Mountains of Vermont. Fishing - Ice fishing on Lake Dunmore. Barrows House comprises eight buildings standing on six acres of lush gardens, in the heart of the Green Mountain National Forest. Decor is cosy, comfortable and chic. The in-house restaurant serves up gourmet cuisine and craft beer on a nightly basis. A Secluded and sumptuous getaway. Back to Nature - Located in the heart of the Green Mountain National Forest. Fishing - Orvis Fly Fishing School is located in Manchester. Swimming Pool - Heated outdoor pool- seasonal. 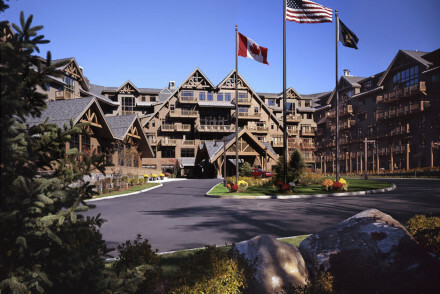 Located amidst 245 acres of breathtaking mountainous scenery. Plush rooms have a retro feel with floral accents and hardwood floors. Luxurious bathrooms come with over sized tubs and spectacular views of the countryside. An ideal romantic mountain hideaway. Kayaking - Clearwater Sports offers kayak and canoe rentals, and various adventure packages. Restrictions on children - Children cannot be accomadated for. Swimming Pool - Indoor seasonal pool. 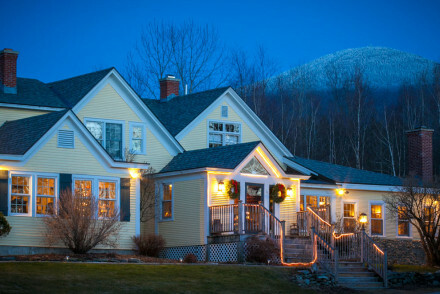 A picturesque Inn surrounded by acres of landscaped gardens and the rolling mountains of Vermont. Wooden furniture, plush carpets, jacuzzi baths and breathtaking mountain views. A lovers paradise! Fishing - Organise a fishing trip with the Vermont Fly-fishing School. Crackling fireplaces welcome guests to this intimate boutique with manicured gardens and luxurious features. Large, cozy rooms with marble bathrooms are classically decorated with antique furnishings. Elegant setting for American cuisine is matched with an award-winning wine list. Fishing - Battenkill River offers a great fly fishing spot. Take a picnic and make a day of it. Fishing - Fly fishing in the summer is a popular past time. 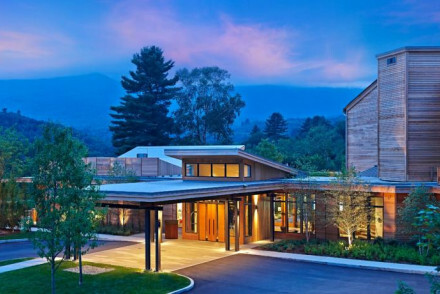 A charming modern incarnation of a renowned Vermont Inn, fabled to have started the farm-fork movement. Rooms are simple with subtle touches of luxury. The theme here is good health, good food and nature- enjoy the laid back pace of life, listen to the bird song and unwind in the spa. 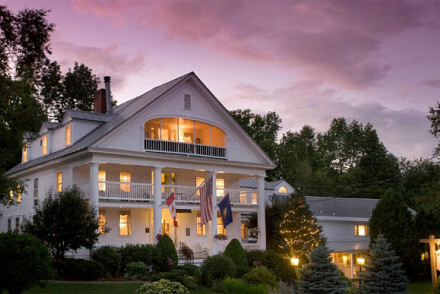 A luxury B&B surrounded by 160 acres of private land, bordered by Green Mountain National Forest. The warm and inviting rooms feature antique furnishings, deep soaking tubs and roaring fireplaces. Breakfast is a mouthwatering three course gourmet affair. Utterly spoiling! Cooking classes - Sign up for a cooking class with experienced Chefs onsite. 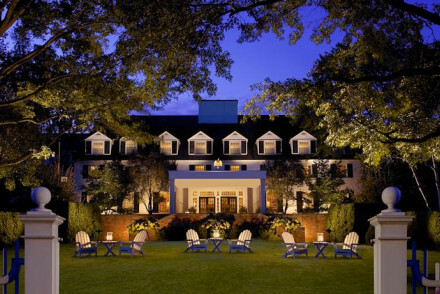 Set in the idyllic Green Mountains, this is a classic New England country resort. Boasting an impressive golf course, spa and nearby fishing lake - it is on site activities that Equinox is renowned for. Smart, contemporary bedrooms and a number of dining areas make this a welcoming and homely spot. 1793 foundations on the Woodstock's village green with outdoor pool, spa, golf course and tennis courts. Classic contemporary rooms with arm chairs, luxury bathrooms and complimentary organic products. The Red Rooster and Richardson's Tavern both offer fresh-farm cuisine. Weekend break and relaxing. Other Activities - Relaxing by the pool and with spa treatments is a MUST! Fishing - Cast on some of Central Vermont’s most picturesque streams and lakes while honing fly-fishing skills you can use for a lifetime. Birdwatching - An exciting new guest experience at the resort's falconry center in Woodstock, Vermont. Great walks - The Marsh-Billings-Rockerfeller National Historical Park. A historic 1809 farmhouse nestled in 150 acres with everything from river access to hiking trails and a herd of alpacas! The elegant rooms are the perfect blend of modern style and antique charm. Mouthwatering meals are served in the romantic wood panelled dinning room. Country chic. Hideaway - Set on 150 acres of beautiful private land, and with an on-site restaurant of gourmet quality, there is no need to leave! Sights nearby - In Bennington, you’ll find the Bennington Battle Monument, Bennington Museum and historic Park McCullough House. Fishing - The Battenkill River known for it’s incredible trout fishing and abundance of wildlife. A large, secluded mountain lodge offering cosy luxury bedrooms and self catered suites. Large stone fire places and rustic interiors give a homely and welcoming feel. Breathtaking mountian views and a laid back restaurant to suit everyone's tastes. Experience the great outdoors all year round. 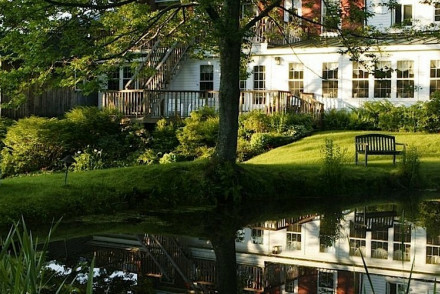 An elegant Inn, minutes from Stowe and surrounded by ten acres of maple, birch and pine forest. The plush rooms are designed for lovers, with huge fourposter beds, private garden entrances, two person tubs and fireplaces in each en suite. Intimate and charming. Restrictions on children - Children cannot be accomodated at this hotel. Nestled in a lovely village near the Mad River Valley, a nature lover's paradise, is this elegant inn. The rooms are stylish & rustic, certainly not boring. Choose the quirky theme you prefer whether its ski lodge, school, or colonial. The free activities & amenities offered make it truly special. Kayaking - The inn has its own canoe and all the additional equipment which can be borrowed for free! On top of 160 forest acres this boutique hotel boasts breathtaking views and adventures. Rooms are spacious & comfortable with antique finishing. Restaurant offers a three-course breakfast and gourmet dinner with local, seasonal produce. Spa, pool or library, in perfect relax mode. Cooking classes - Experienced chefs will share their secrets and together you can whip up a delicious meal or two. Great walks - Borrow the hotels snow shoes and go exploring the grounds. Nestled in 300 acres of wilderness this secluded, luxurious hotel offers activities, gourmet meals, spa and gym. Rooms boast high ceilings, stunning views and antique furnishings. Seasonal, organic meals paired expertly with regional wines, Gourmet picnics! A beautiful and relaxed getaway! Fishing - Fly fishing, with all the equipment, is avaliable. Kayaking - On their own Copper Pond.